My first Banded Sanderling of 2016, turned out to be a bird that was banded in Delaware. See more information on the certificate below. 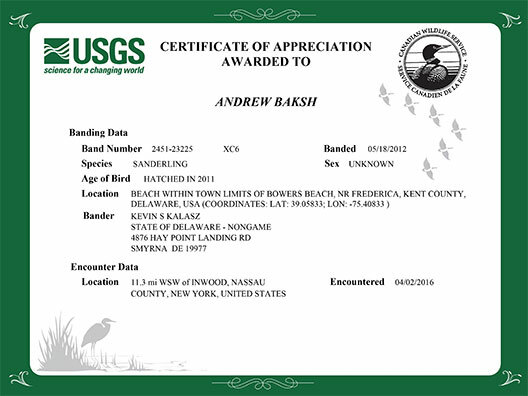 This bird was documented at Breezy Point in Queens and the flag data was submitted to the Bird Banding Lab. The data will be added to the bird's history, aiding researchers in mapping its travels.